Many are deeply ignorant of how Europe “works”. Left to themselves, European countries go to war. That is the clear lesson of a millennium of having separated Western Francia from the rest of the Imperium Francorum. 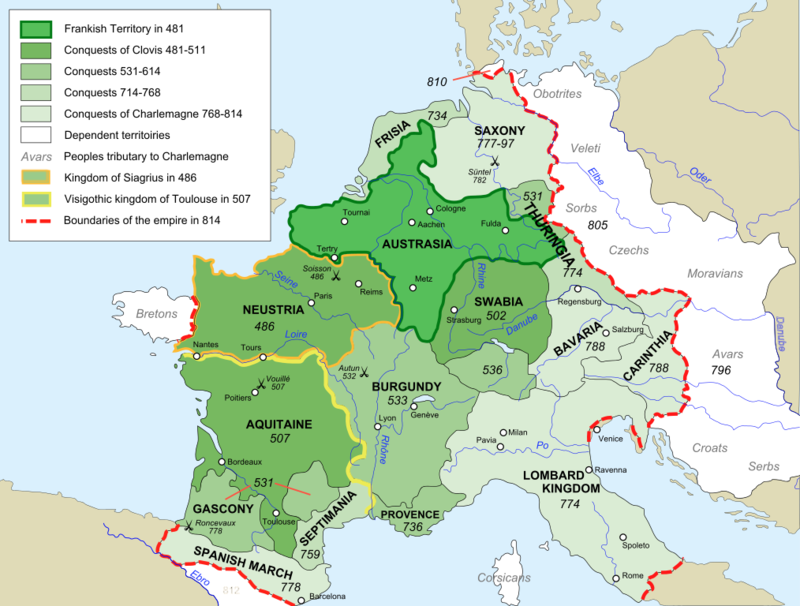 Western Francia, composed mostly of Neustria and Aquitaine, became the so called kingdom of “France” in the Thirteenth Century. It was an abuse of language, as said kingdom covered not even half of present day France, and a fraction of the “Francia” of 1000 CE. Core Of Latin Roman Empire Successor State To Rome, 811 CE. A bit more than 12 centuries ago, the Latin speaking core, direct institutional successor state of Rome, defined itself as the “Renovated Roman Empire“. It kept on expanding in the following centuries, back into Rome’s old borders. Great Britain (1066 CE), Spain, Southern Italy all the way to Sicily were reconquered from the savage barbarians who had overrun them. The apparition of narrow minded nations and intolerant religious factions in the late Middle Ages and so called “Renaissance” brought great mayhem, and vast regression. To prevent this devolution into barbarity, wisdom requires first to re-unify the empire that once was, where it makes sense to do so (clearly, culture ought to be excepted, as its variety enriches minds). The European Union is actually an evolutionary mechanism to unify the continent, driven by Germany and France. It is a set of construction projects: parliament, executive, justice, currency, etc. The EU is also governed by the existing democracies, independent nations legislated by their own parliaments. Thus there are two intertwined systems: national democracies cooperating, entangled with more or less European institutions they more or less control, and increasingly weave together, while reinforcing them, or creating new ones, as the need arises. For example, France is crumbling under an avalanche of European decrees from the European Commission (EC), applied throughout the EU. Yet, unbeknownst to many, especially in France, a plurality of these decrees is suggested by the government of France! American progressives ought to relax: democracy is doing fine in Europe. The EU does not have millions of citizens incarcerated, as the USA does. The EU has no debt. The EU does not rule the planet with its Pentagon. The EU does not have a NSA. When European private banks need more money to leverage, they cannot go straight to the central bank and ask for more, as is the practice in the USA. The incoherent discourses of a few extreme nationalists who dislike each other (and often are already elected European MP) are not a threat for the EU. Even those critters agree that the European Monetary Union has to be greatly improved (and a banking union is on the way). Even Marine Le Pen, an European MP, as her father is, can talk more cogently about the European currency than many an American economist. The excellent Martin Schultz is the perfectly French speaking, and French like, German president of the European Parliament. He is a socialist (SPD). He is one of five candidates to head the EC. Chancellor Merkel supports the conservative, financier friendly Jean-Claude Juncker from Luxembourg, a native French speaker. Natürlich, Martin Schultz is supported enthusiastically by the socialist French government. For American plutocrats, the real threat is that Martin Schultz will become the first head of the European Commission next week to be elected by the European Parliament (instead of selected by the national governments). ONE PLUTOPHILE DOWN? MORE TO GO! Abstract: Hysteria against French socialism by plutophiles is exposed. The last, and by far most important section of the essay, shows that an economy rests on three superposed turtles. But the mightiest one, the only fundamental one, is the state. A state without a free market is a choice, a free market without a state is no choice. A free market has laws, and that means a state. Therein the error of Europe. Verily, The Economist, like Milton Friedman, used to love Pinochet. That was not “rather criminal”, but definitively criminal. I have never dug up their utterances in Hitler’s times, but I am sure unsurprising surprises lay thereabout. A lot of the British upper class, up to 1936, was pro-Hitler. After signing a shameful military-economic treaty with the Nazis in 1935, and, after seeing Hitler and Mussolini attack the Spanish republic, propelled by Texas oil, equipped by American plutocrats, Britain operated a U-turn (rather than having to operate U-boats later). If The Economist supported the business side then, it would have supported Mr. Hitler. Many were afraid, including yours truly, that Mr. Hollande would be rather boring, but, apparently he can defend himself. I hope he bites Obama next week, or, at least signify to him haughtily that he was just elected on a clear mandate: get out of Afghanistan’s Islamist state. Verily, what could be more dangerous than to make normal banking plutocrats irrelevant? A London banker confided to me that bankers don’t lend to normal people and companies anymore. No need. Profits are with non society directed activities (as provided by Quantitative Easing and hedge funds). I asked him: why then banks should not be nationalized? He told me that, indeed, nationalization is what should be done, if one wanted to return to a normal economy. And a jumble disconnected from plausible emotions. Imagining the anti-European plutophiles at The Economist waking up in the middle of the night screaming about the Euro, would not happen because they worry about its survival, but because they worry that the euro has swallowed the pound. As it will, someday. I personally want France to DEFAULT on her debt. Actually I want all states to default, because the present financial system is a gangrene, and like all good gangrenes, it has to be amputated. However, I am fanatically pro-European, and I think deeper in socio-economic matters than The Economist. In truth the busy propagandists at The Economist know very well that the banking crisis has nothing to do with the principle of a single currency, but everything to do with the fact it was conceived as a SLAVE TO PLUTOCRACY. Accusing the principle of a single currency, the euro, is a classical case of blaming the victim. But the economists at The Economist won’t say: their salaries depend upon not saying that. 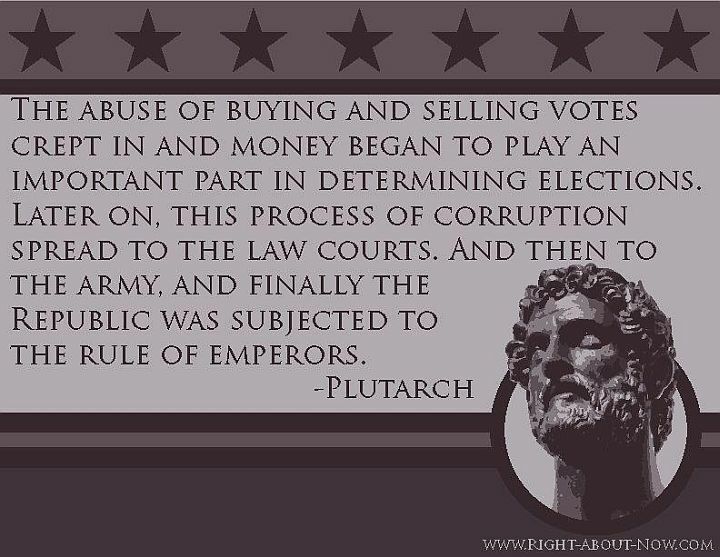 In general, Western democracy is under attack from the fact the Western socio-economy has been made slave to plutocracy… Just as happened when the Roman republic got in trouble. Rome failed because the socialist policies proposed by the Gracchi were not adopted. The plutocrats killed the Gracchi and their supporters. Thousands of them. Mr. Hollande is a chance to start the arduous task of extirpating the plutocratic gangrene. OK, Obama talked change too. But Obama’s change was about “change you can believe”. Indeed: none. Hollande proposes:”Le changement, c’est maintenant.” (“Change Now”.) Hollande has 60 specific proposals, and several of the early ones are definitively anti-plutocratic. Hollande was a student at top rated ENA (where one enters only through a competitive examination, not through “legacy“, that means plutocracy, as one does at Harvard, this parody of an academic institution). What seems certain to the crocodile, does not have to be so, for higher forms. The sort of euro that The Economist wants to survive, the plutocrats’euro, is the sort democrats ought to discontinue. Contrarily to what The Economist asserts, vague familiarity with the candidates’ programs shows that it is Sarkozy who wants to change nothing. And that it is Hollande, who proposes change. So the entire analysis of The Economist is built on a false premise. And why Sarko, a weak mind, belongs to his sarcophagi. “Yes, Sarko did not change anything, breaking his electoral promises of leading France out of the State Capitalism model and releasing the energies of her society. Almost certainly Hollande can do a better job, even tiny steps will be better than nothing. I do not believe that Sarkozy loves state capitalism. And the love of France for state capitalism is much exaggerated as an exclusively French passion. For example the French Post office is privatized, not so the American one. In the USA many giant “private” companies are little more than wards of the state. Northrop is an example: it was able to sell subsonic bombers at two billion dollars apiece. Yes, two billions. Yes, subsonic: easy to catch. OK, they call those bombers “stealth“: a marketing ploy. All combat aircraft are “stealth“. The truth is that the Northrop B2 was a subsidy program. Same for the Raptor, F22, at 200 million dollars apiece: it was never engaged in combat. Not once in ten years. It can’t take the rain, or something. One was shot down by an old French Mirage, in mock combat. More humiliating than that, hard to do, and a question: how come the tremendous waste of taxpayer money? Is not the same done again with the F35? On an even larger scale? 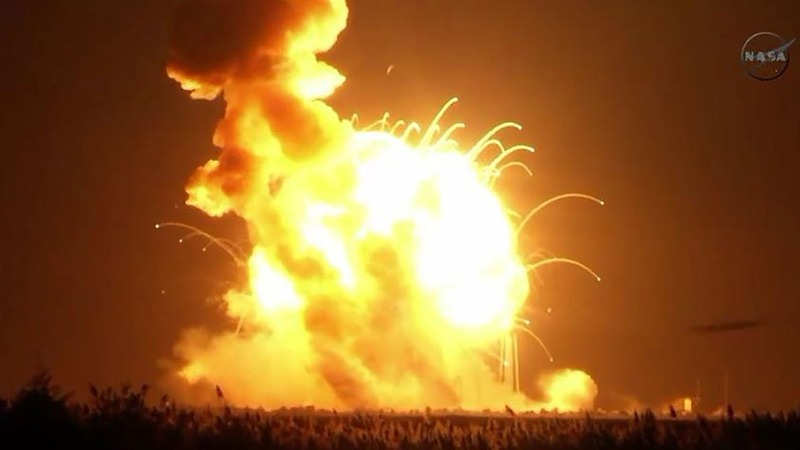 Many of the private companies trying to make money out of space access, are heavily subsidized. The entire “private” healthcare industry is ward of the state. At least half of its business is with the state (most with Medicare). Sarkozy’s failure was trickle down economy. Be nice to the rich, the rich shall reward you well, say the naive, and they twitch. Now Sarkozy insists that it was a “lie” and a “calumny” to say that it’s all what his policy amounted to. Not satisfied with the previous invectives, he called Hollande a “little calumniator” for suggesting as much. 1) the “free” market, private capitalism, is a playground set, regulated, protected by the state. It furthers economic activity by exciting the profit motive (having more than the other guy). If the hormonal situation is such that having more is dwarfed by other motives, the free market is irrelevant. This is what happens in case of very serious, invasive, war. Brazil, to my knowledge, just as the USA, has never known such a war. France, per her location at the crossroads of three major trade routes, in the middle of Western Europe, has known many such invasions. Even before the Huns, monstrously crushed in 451 CE. The invasions have modified the national character. When French children learn French history, they learn that, the state is not just the lender, but the savior of last resort. 2) State capitalism insures the safety of the state. It was always strong in France, following the greatest Roman tradition. The argument can easily be made that, because of a plutocratically induced collapse of the tax base, Rome got invaded so badly that the economy imploded. The Roman state collapsed first, and was unable to defend the People. Plutocracy is not just infamous, it is lethal: if it does not kill you outright, it will make sure to die with you. The USA has also an enormous state capitalism. The weapon-making part of the American military-industrial complex is nominally private, but it’s the equivalent of Roman weapon manufacturing. Practically, the crucial state industry. The free market is a luxury. State capitalism, the real thing. 3) There is even a higher, ultimate system. Economy is managing a house. Bottom line, an economy has nothing to do with money. Money, too, is a luxury. Barter and mandates can do it all. Some of the greatest civilizations worked that way. Sparta showed the way. It refused to use a currency beyond iron. That idealistic society then helped Athens re-establish democracy (510 BCE). Barter and mandates is how Athens built a fleet capable of resisting Persia, how the Roman republic rose, how Diocletian re-established the Roman empire. Barter and mandates is how the Inca empire functioned, it’s how president FDR stabilized the economy of the USA in the 1930s, and how the war effort, after 1941, re-established it. Those who believe in money first could have looked at FDR’s budget in December 1941, and say that the USA could not afford one more aircraft carrier. Instead, the USA’s command economy built dozens of such carriers, and thousands of other ships, let alone more than 400,000 aircraft. Right now the problem is that the state has been captured by banksters, and their servants. The solution is not to get out of that nightmare, with better dreams. It is to wake up, and use force to roll back that plutocratic tsunami. Starting with destroying its ideology is how it will be done. Hollande’s 75% taxation above one million euro income is a good start to strike terror in those who believe too much in the Golden Calf. Right now the problem is not too much state, it’s not enough democratic state. TAXES, OR HOW OBAMA COULD LOSE. The threat is in one word indeed: TAXES. Or more exactly: tax expectations. Unrealistic tax expectations is how conservatives have been winning. In recent years, conservatives were elected in Germany, France and Italy (they all had big deficits, like the USA). Each time the conservatives proposed to lower taxes. They were not believed as much as their opponents, who proposed to raise them. People prefer to elect who proposes less punishment. Moreover, it’s easier to raise taxes than to lower them, and so it’s more likely that those who propose to raise them will raise them rather than those who propose to lower them will. In Italy, the billionaire Berlusconi, in his seventies, and thoroughly despised for his preceding years heading the government, unexpectedly crushed the left, vanquishing in a landslide. In France, the conservative Sarkozy promised a “fiscal shield”, according to which nobody could be taxed a total of more than 50% of their income. He was elected, and considerable checks were sent to some of the “rich” (although France has a wealth tax, so the truly rich can’t escape as easily, see below). On June 26, Obamawas interviewed on Fox TV, and promised unambiguously to raise taxes on the top 5% of taxpayers. He was also asked to associate one word to “Wall Street” and he said: “money”. With a big smile. Within minutes the stock market collapsed, breaking multiyear lows. More than 50% of US voters hold stocks worth more than US $5,000. Right now the US voters who hold stocks, fed up by years of neofascist reasonings and facts from the Bushmen, barely favor McCain. That may change when they become aware of the plans Obama has for their (at this point utopian) capital gains. Right now the long term (more than 18 months) capital gains tax rate is low, as it should be. It’s only 15%, much less than the income tax rate. This is justified because people who use their capital for investment are not using it for their immediate enjoyment, but for a more common good, and are not just insecure about their return on capital, but also about the return of the capital itself. So a return on invested capital, when there is any, should be rewarded more to compensate for the considerable deferment and losses investing leads to. It is true that the present 15% rate on capital gains has been grossly abused: some of the richest US taxpayers have been using it… for their income (a gross violation tolerated by Bushmen and democratic Congress alike). On the contrary, hyper rich people should be proportionally taxed more than modest taxpayers, because the richer one is, the easier it is to become richer. That later phenomenon, which is purely mathematical, has to do with the defining characteristic definition of the exponential function. It has been known for at least 10,000 years (and is the root of various wealth taxes, or even human sacrifices of most old cultures, from Vikings to Carthage). Barack Obama has been listening to some of the world’s richest men (such as the world’s richest investor, Warren Buffet), and they told him (now that they have made gigantic fortunes), that a capital gain tax rate of up to 29% would be OK. The problem, though, is that capital gains are NOT indexed on inflation. As an asset is held for years, it has to augment in nominal value, just to stay as valuable. (Now how inflation is measured is another exasperating can of worms entirely; in the US the official inflation rate is tweaked so as to undercount it, by careful selection and so called “hedonistic” adjustments.) The practical result is that one has to add the 15% of taxes to how much inflation has occurred while the asset was held (several years in the average). Thus assets held years are affected by two taxes: the one on capital “gains” and inflation. RIGHT NOW THE EFFECTIVE CAPITAL GAINS TAX RATE IS 35%. It is not 15%! It’s much higher! Except for the hyper rich who have devices to roll continually their money. Indeed, the capital gain tax rate the rich profit from is closer to a true 15%, because hedge fund managers, for example, have only to hold their income 18 months (at the present 4% inflation rate, that means they are taxed 21%). Assuming today’s inflation, and the average holding period of assets, Obama proposes to tax capital gains of the small, average, not to say ridiculous, stock holder at 50%. Assuming the present inflation rate; with an inflation of 6% (which is entirely possible, considering the stratospheric rise of oil), Obama’s tax would be well ABOVE 60%. This was tried before, in the sixties and seventies: high tax rates on capital gains, and high taxes on income. Investments stopped, stagflation reigned, Reagan got elected (ultimate catastrophe). To this Obamareplies that this time will be different, because he will not tax venture capital (!). Venture capitalists are typically extremely rich people who finance a few ideas on the side to get even richer. It is dubious that they will bring more serious innovations if they are taxed zero. So now the very richest, instead of having a loophole at 15% will have one at 0%! That change was proposed by Obama! Change you can believe in: the plutocracy will always have a new tax loophole at the ready, if the regime changes. All McCain has to do is to point out the enormous capital gain tax augmentation Obama proposes for the little guy. This is added to the augmentation of social security tax of 6.2% (starting at $250,000), Whatever the reasons for that augmentation, it will bring US taxes well above 60% in many places. That would be 20% more than the maximum taxation rate in “socialist, welfare state” France! Right now, because of the housing bubble (still not shrunk), one can earn $300,000 in one of the expensive places (New York, San Francisco), and being unable to afford (decent) housing. The political risk for Obama is clear: people will wonder why he would stop at $250,000 (and anyway that number is not indexed by inflation, either; within a year, it will be already below $240,000 in constant dollars (at 4% inflation, soon to be 6%… in which case it would be only $235,000…)). WHICH TAXES SHOULD OBAMA PROPOSE? Obama should propose to leave intact the “Bush tax cuts” for the little guys. The 15% capital gain tax rate should be kept as is (and, better, be indexed on the CPI). For the little guy. So Obama will have to define what “RICH” means. One MILLION DOLLAR in interest and dividends, and/or TWO million dollar in income should define “RICH”. The question arises of how the government would compensate for the loss of income that not increasing direct taxes on the non rich will bring. Of course, INDIRECT taxes (energy taxes in particular) could be introduced (they would bring huge income, and decrease the US splurge of consumer spending and energy waste; besides, they would bring down the price of crude oil). More simply, the hyper rich (such as some of Obama’s advisers) should be hyper taxed. First a higher tax bracket for the rich should be introduced; if Obama wanted to tax the little guy’s capital gains 50%, he should be even more open to tax the rich 50% on their income (remember the richer one is, the easier it is to get richer, the exponentiation argument). There is a recent precedent of the crack down by conservatives on the rich, and not just in France. Obama should do as Merkel, the conservative German Chancellor, did: IMITATE FRANCE, AND INTRODUCE A WEALTH TAX. That’s a special tax on the rich that looks at total assets (another tweak on defining the rich). EUROPEAN CONSERVATIVES RULE BY TAXING MASSIVELY WASTE AND THE RICH (the left, when in power, does the same, overall). That recipe, TAX WASTE, TAX RICH, has proven highly successful for the European economy. The Obama tax program, at this point, does not do either. It punishes the upper middle class, though. Since the later is highly influential, McCain is in better position than he looks. 0) Ever since there has been trade, there has been capital (archeological studies in Australia have uncovered proofs of currency usage and trade on distances in excess of 1,000 kilometers, more than 40,000 years ago already). Systems where the little guy could not invest were tried before: plutocratic imperial Rome on one side, Stalinist imperial Russia on the other. Capital from the little guy is crucial not just to the economy, but to democracy. It’s not just about “money”. “Money” is about power; give no “money’ to the little guy is equivalent to leaving him powerless. But the “cracy” (from Kratos) in democracy means power. 1) Italy, France and Germany together have more voters than the USA. Polls show Great Britain could go “conservative” too (the just elected mayor of London is a maverick conservative). All these European conservatives clamor for change, to the point of making the left look … conservative. But European conservatives all claim to want to alleviate direct taxes on the little guy, and the definition of the little guy includes the upper middle class income earner (who often cannot afford decent housing in cities such as Paris and London, since the truly rich global worldwide plutocracy has driven the prices up). 2) The US total tax receipts are less than 30% of total US GDP (or so they were, before the Bush administration brought them higher, when local taxes are included). The OECDaverage was 36% in 2007, and it’s higher in Europe. Europe is clearly doing better economically than the USA at this point, so one could argue that the total US tax receipts should be brought up. The world’s record in taxation is Sweden, witharound 50% of GDP. France is below 44% (with an individual “shield” at 50%). Italy is at 42%. Obama is talking about raising the upper middle class tax rates at levels that are known to have caused, time and time again, total revulsion in Europe (anything above 50%). Europe can generate high tax incomes without taxing wages and salaries and capital gains too much by using consumption and user fees taxes. The Added Value Tax, in particular, and very high energy taxes make tax evasion impossible, and represent MOST of the tax income, and TWEAK THE ENTIRE ECONOMY IN A WISER, MORE EFFICIENT DIRECTION. The income tax system is used in reverse: half of French income earners de facto pay no tax on income. Besides education and health care are free, and public transportation heavily subsidized. 3) The so called “Laffer curve” says that as one increases the percentage of taxed income too much, economic activity goes down (because people are less motivated to work), and so the total tax revenues go down. As Ibn Khaldun, a 14th century Muslim philosopher, puts it: “It should be known that at the beginning of the dynasty, taxation yields a large revenue from small assessments. At the end of the dynasty, taxation yields a small revenue from large assessments.” This observation was at the heart of the so called “supply side economics” of Ronald Reagan’s era. The “Laffer curve” was drawn and explained by French economists (Bastiat, etc.) in the mid nineteenth century. That is why the modern French economic planners invented the AVT and heavy energy taxes: those taxes turn around taxing income directly, that is too dispiriting. An interesting warning: the upper bracket of US income taxation was brought up from 29% to 62% by the Hoover administration in… 1929, and the Great Depression started within months. 4) The US economy is actually full of subsidies, and will do much better when many of these are transmogrified into taxes instead. One has to distinguish what is in the common good (say, trains) and what is not (subsidized corporate jets serving the rarefied plutocracy; corporate jets are heavily subsidized by common taxpayers, but they don’t know about it). 5) Why are Obama’s advisers seemly unaware of the preceding? Well, maybe some have hidden agendas. Trojan horses were not invented yesterday. Some may want to stake their leftist reputation; others may outright act as double agents (wanting Obama to fail by giving him subtly poisonous advice, like Buffet, or amused Venture Capitalists, or subtly directing taxation away from themselves); others, like those who suggest to tax the innocent middle class hard, and the hyper rich venture capitalists not at all, have no decency whatsoever (but this bold tactic worked well for top Clinton/Obama plutocratic adviser Rubin, so why not?). The University Of Chicago economy department has been known as a friend of the Hyper Rich, and Obama main economy tax adviser is a professor there (just as Obama was). That individual justified the Venture Capital loophole, boldly, and completely, by calling it “The Future”. And what of the Obamas themselves? What is their relationship to work and money, and investing? Well, as Michelle Obama herself pointed out, they could not make ends meet until Obama’s juicy book contracts (of the sort politicians get: big money in advance, complete with ghost writers). Mrs. Obama herself financially appears to have profited from her nomination on a corporate board (another usual arrangement in the environment of a politician). I do not say she did. But she certainly appears. And appearance is all what can be ascertained in such a case. When money and power has grown out of magic “community organizing”, why not persist with the magic? Well Europeans don’t believe in magic anymore, and, someday, Americans will join them: change we can believe in. 6) Some pundits on the right have been surprised that McCain has been talking about other things rather than the obvious subject above. The reason pertains to the sort of elementary Machiavellism fishermen are familiar with. McCain is waiting, just like the fisherman who feels that the fish is taking the bait waits. The fish should not be hooked too early. If Obama persists with his hare brain tax plan, he will be stuck with it. When he realizes his mistake, it will be too late to pull out without being accused of major flip-flopping. Let’s notice than in Italy the electorate misled the pollsters: their hearts were beating strongly on the left, but their pocketbooks were on the right, and they voted with the later. Indeed, why not?